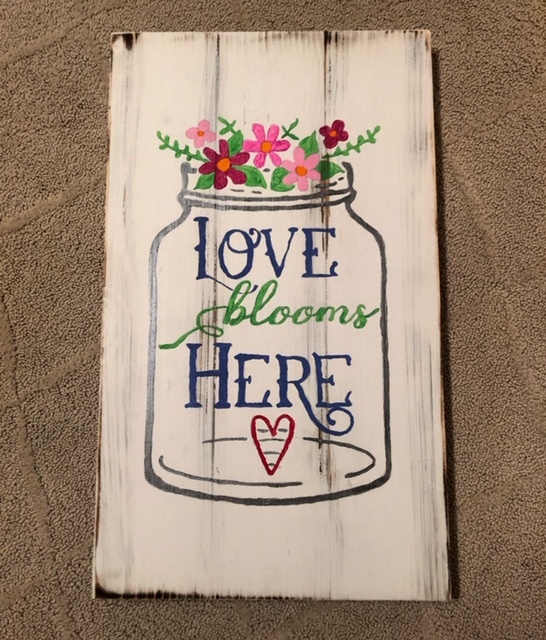 Glitter Your Pallet welcomes Michelle Fitzpatrick and friends for an evening of painting decor pallet boards. This will take place on Saturday April 26th @ 7:00pm. $45.00 per person includes a 3 hour class with all supplies, step by step guidance and glitter! The BOARD SIZE is 24″x 14″. Cash payment only the night of the party, so no credit cards or checks accepted. PLEASE NOTE: Glitter Your Pallet offers the most up to date and trendy design quotes in the Chicagoland market. THEREFORE, OUR STENCIL DESIGN INVENTORY IS CONSTANTLY ROTATING. If you are attending an upcoming event and have a SPECIAL REQUEST please submit via email only. All requests must be submitted at least one week prior to your event date. We make our best attempt to honor all requests.